Stock status is current as of 1/21/2019 1:53 PMET. With the Kingston DataTraveler Generation 4 USB flash drive, you will experience some of the fastest data transfer when storing or creating backups for your different documents and media files. This flash drive works using the USB 3.0 interface to ensure perfoemance. 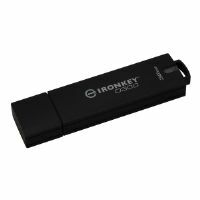 Its 16GB capacity provides tons of space you need for storing different applications or media. Add some color in your life and go grab the DataTraveler flash drive today.